Dallas were surprised by the Houston Dynamo in their last matchup which finished all square at 1:1 in the end. The two sides might not be close to each other in the table but their current form is very similar and inconsistent. The Dynamo have even scored one more goal than Dallas so far this season and have only conceded six more. However, they’ve managed to lose some close games, with only one loss with a goal difference greater than one. The fans will come in force to the Toyota stadium to support their team in an effort to improve their form and pay back Houston for the two points lost only a few days ago in Houston. Manotas and Elis, the two top scorers in Houston, scoring half of their goals so far, will look to surprise Dallas again. However, Dallas are not likely to allow that and are likely winners in this matchup. Jesse Gonzalez is a Mexican footballer who was born on May 25, 1995 in Edenton, North Carolina, United States of America. Gonzalez played for FC Dallas during his youth career and the goalkeeper made 17 league appearances for the senior team as well. In 2015 he was loaned to Pittsburg Riverhounds and it has to be noted that he played only one game for the club. After ending his loan spell with Pittsburg he returned to FC Dallas, but he was in Chris Seitz’s shadow during the 2016 season. Jesse Gonzalez has seven caps for Mexico U20 team and he made one appearance for Mexico U23 team as well. Jess Gonzalez, who grew up in Texas, wears number 1 on his shirt. Coach Jose Antonio Radilla helped Gonzalez make great progress during his youth career. The Mexican shoot-stopper has a deal with Dallas FC which expires on December 31, 2017. Houston Dynamo is an American professional soccer club owned by Jake Silverstein, Gabriel Brener, Ben Guull and Oscar De La Hoya, who is considered one of the greatest boxers of all time. BBVA Compass Stadium is Dynamo’s home ground and the capacity of the venue is 22.039. Houston Dynamo won back-to-back MLS Cup trophies (2006, 2007), with the team beating New England Revolution in each of the two title games. It has to be noted that Houston finished the 2011 and the 2012 seasons as runners-up. 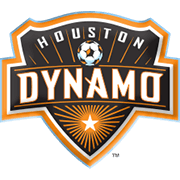 In 2008 the Dynamo made it to the North American SuperLiga final, but this time out their old rivals New England Revolution proved to be a big catch for the BBVA Compass Stadium outfit. 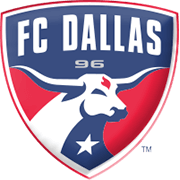 FC Dallas are regarded as the club’s main rivals and the two teams face each other in the Texas derby. Houston have developed a rivalry with Sporting Kansas City as well. The colors of the club are orange, black and white.